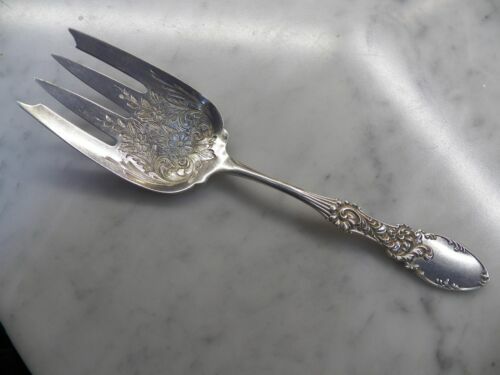 Buy: $17.0 Estate Lunt AMERICAN VICTORIAN Sterling Silver 5 3/4" COCKTAIL FORK - NICE! 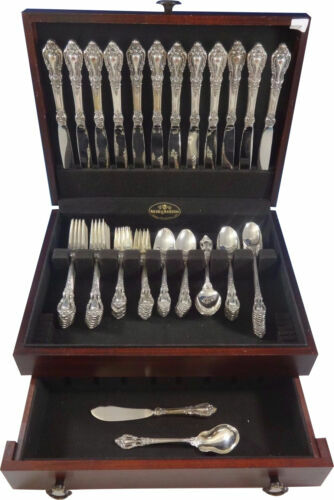 Buy: $2500.0 52-pc Lunt Eloquences Sterling Silver Silverware / Flatware set. 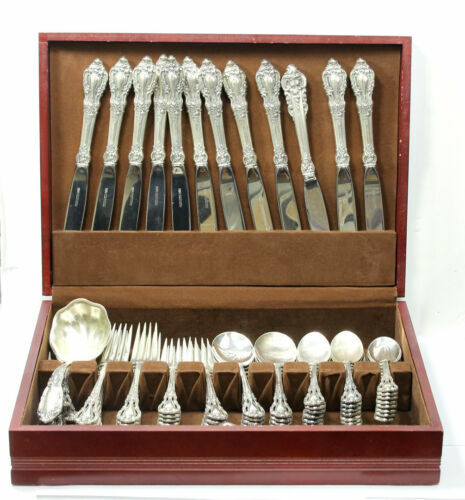 $180.0 Eloquence by Lunt Sterling Silver all silver Pie or Pastry Server 9 3/8"
$2499.99 Eloquence by Lunt Sterling Silver Flatware Set 45 Pieces Great Condition! 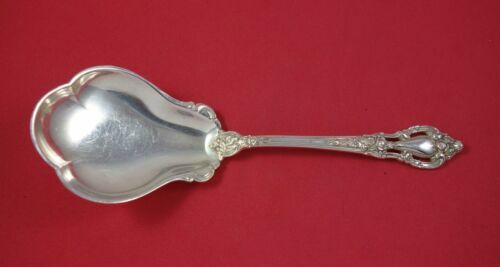 Buy: $45.0 Oval Soup Spoon 925 Sterling Silver Lunt Eloquence Serving Excellent! 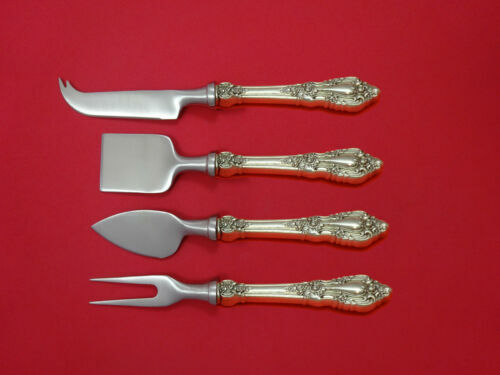 $639.0 Eloquence by Lunt Sterling Silver Gumbo Spoon 4-piece Set Custom Made 8"
$259.0 Eloquence by Lunt Sterling Silver Salad Serving Fork All Sterling 9 3/8"
$369.0 Eloquence by Lunt Sterling Silver Steak Knife Set 4pc HHWS Custom Made 8 1/2"
Buy: $38.0 Spoon Nut Bon Bon 925 Sterling Silver Lunt Eloquence Serving Piece Excellent! 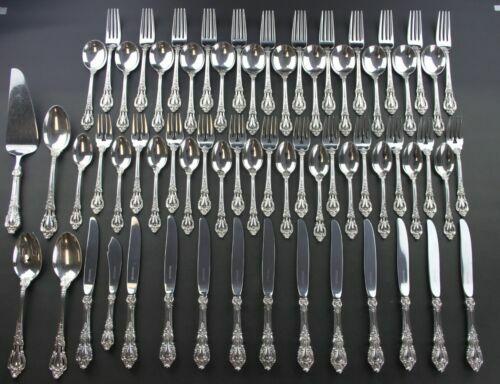 $2900.0 LUNT "ELOQUENCE" STERLING SILVER SET FOR 12, 65 PCS!! 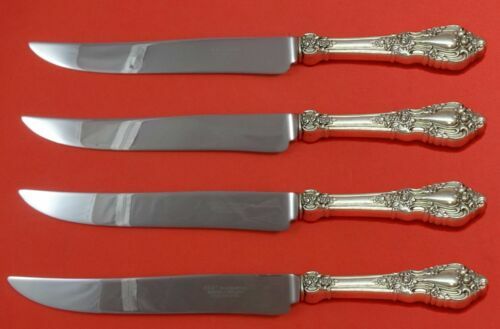 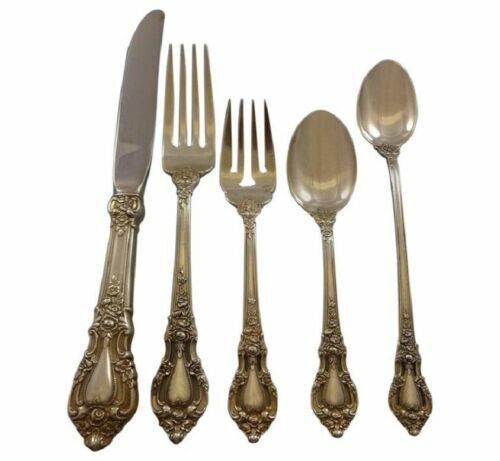 $259.0 Eloquence by Lunt Sterling Silver Salad Serving Fork FH AS 9"
$2995.0 Eloquence by Lunt Sterling Silver Flatware Set ~ SERVICE FOR 16 wow! 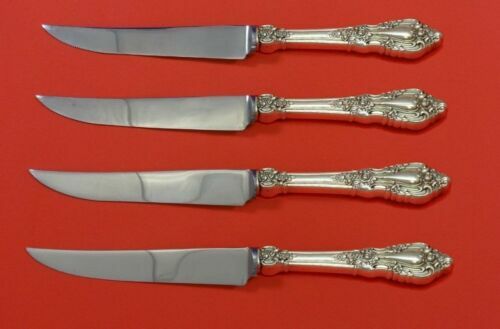 Buy: $58.0 Meat Fork 925 Sterling Silver 7 3/4 Lunt Eloquence Excellent! 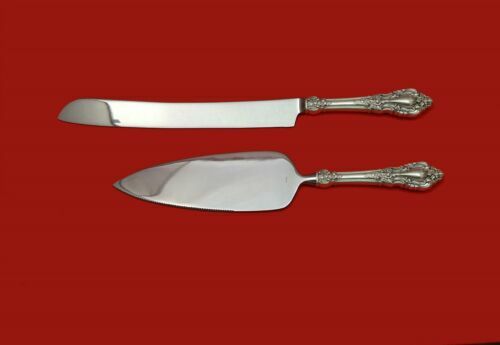 Serving Piece. 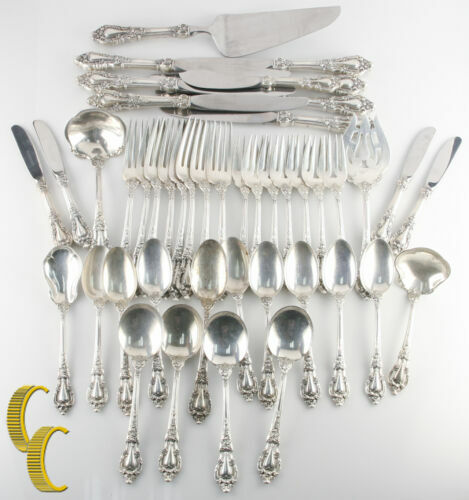 Buy: $3900.0 105 Pieces Lunt Eloquence Sterling Silver Flatware 12-7 Piece+ PS & 14 Serv. 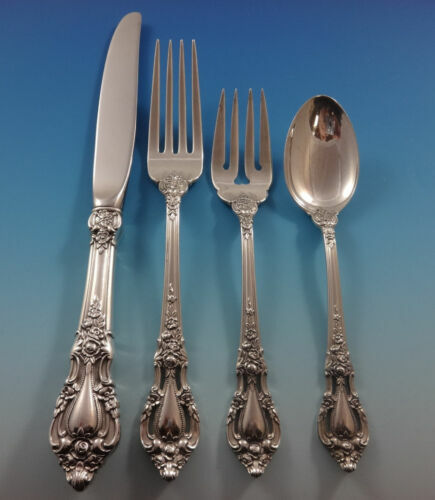 $139.0 Eloquence by Lunt Sterling Silver Serving Spoon 8 1/2"
$259.0 Eloquence by Lunt Sterling Silver Pea Spoon All-Sterling Pierced 9 1/8"
Buy: $35.0 Jelly Spoon Knife 925 Sterling Silver Lunt Eloquence Jam Serving Excellent! 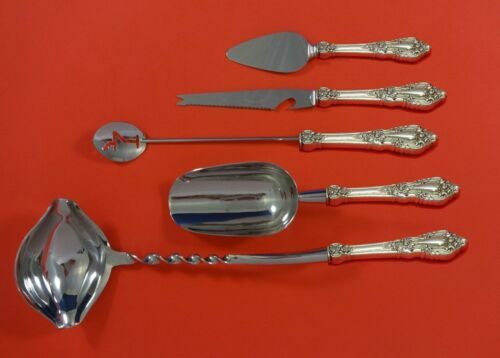 $139.0 Eloquence by Lunt Sterling Silver Gravy Ladle 6 1/2"
$189.0 Eloquence by Lunt Sterling Silver Berry Spoon All-Sterling 8"